Catholic priests have become synonymous with “abuse” in recent years, but they’ve never been the only people of the cloth guilty of inflicting physical and emotional pain on innocent victims. Seldom talked about are the rarely maligned women of the Church: sisters who intentionally abused fellow nuns behind convent walls. Nun abuse is that other dirty little secret of the Catholic Church—and it’s a secret that affected, and crushed, the spirits of scores of young women. My mother was one of them. But most cases of the variety of nun abuse my mother was subjected to—emotional pain and physical tolls intentionally inflected upon nuns by nuns in positions of power—have gone unreported. In cases like my mother’s, the tales of abuse were passed along in hushed whispers, first in psychiatrists’ offices, then, later, to family members. In many instances, sisters suffered in silence, resigned to their fate, afraid to come forward. Nuns take vows of obedience. Historically, there were few, if any, means of reporting wrongdoing without breaking strict and rather ancient rules of church hierarchy. Consequently, there’s been little to no accountability. Young sisters, in particular, have been particularly vulnerable, as they’ve always been the lowest on the totem pole and expected to be the most obedient. In my mother’s case, the stories of abuse came out in bits and pieces over the decades, mostly in the wake of two nervous breakdowns. Her hesitation to come forward was twofold. First, she, like so many victims of abuse—within or without the Church—felt as if it was her fault and that no one would believe her. Who, she wondered, would believe that “good sisters” could be so mean? Second, she worried that speaking up meant going against the Church she continued to love and believe in, even after she left the convent. My mother had gone to live at a convent in Indiana just three months after graduating from college. She’d graduated with honors, and with an impressive resume. As a teenager, she’d met privately with President Harry S. Truman in the White House’s Rose Garden after being recognized for her work in student government. But it was a life of prayer—not politics—that most appealed to her. And so she sought out the “good sisters” of her convent. Her goal was to use her degree to educate and feed the poor. When men become priests, they get to keep their names, cars, even bank accounts. Not nuns. When my mother entered the convent, she gave up virtually everything. And by everything, I mean everything. When my mother became a sister, she surrendered all of her belongings as part of her vow of poverty. That meant that her poodle skirts and saddle shoes, even the stories and plays she’d written in high school, were destroyed. She also lost her name. She entered the convent as Anne Virginia Diener and was promptly renamed Sister Aurelia Mary. She had no say in its selection; it was decided upon by presiding nuns. Then there was the food, or lack thereof. Sisters were expected to fast for hours, sometime entire days, in a bid to show their faith. Those with low blood sugar, like my mother, passed out during peak fasting times. They were considered “unfaithful.” Instead of being given food to prevent additional fainting spells, they were told to pray harder. My mother did so, but passed out again. Her punishment? Longer periods of enforced fasting. “Sisters who said they were sick were treated like they were making things up to get attention,” my mother’s friend Marian, who was also a sister at her convent in the 1950s, told me. Even when my mother doubled over in physical agony, owing to abdominal cramps, and was scarcely capable of moving, she was ordered to get out of bed. Her pleas for medical care fell on deaf ears. It was a priest affiliated with the religious academy in which she taught who ultimately insisted upon getting her treatment, ordering a pair of nuns to take her to the doctor. The doctor on duty was appalled at her appearance, calling her a “bag of bones” before sending her on to the hospital, where doctors performed emergency surgery on her tipped uterus. She was additionally diagnosed with myasthenia gravis, an autoimmune neuromuscular disorder, which explained her extreme fatigue. My mother’s growing friendship with the priest who had helped save her—coupled with her popularity in the classroom with her young students—did not go over well with the nuns in command. She was removed from the classroom, with no opportunity to say goodbye to her young students, then demoted and assigned to the tasks of scrubbing floors and sorting convent correspondence. Pleas to re-enter the classroom resulted in more reprimands, more periods of enforced silence. That’s when the tears started, and didn’t stop. In an effort to silence my mother and what the convent called her “nervous habits,” the punishments grew, my mother would tell me, “more severe.” It’s hard to gauge what exactly she meant, but family members report there were unexplained bruises. And my father has suspected that sexual abuse was a factor, owing to her later behavior in their marriage, but she never explicitly told him about inappropriate sexual contact. What is clear is that a piece of my mother died behind those convent walls. My mother ultimately left the convent at the encouragement of the priest who had worked to get her medical care. It was the 1960s, and, he told her, with the coming of Vatican II and the growing women’s movement, there were new opportunities for women like my mother to lead a meaningful life and serve the Church as a layperson. My mother was among the first in her “class” of nuns to muster the courage to leave. But she was hardly the last. Scores more would follow. Today, the once burgeoning population of nuns at her convent—some 800—has dwindled to a few dozen. Nationally, the population has similarly plummeted. In the 1960s, when my mother last wore her habit, there were 180,000 American nuns. 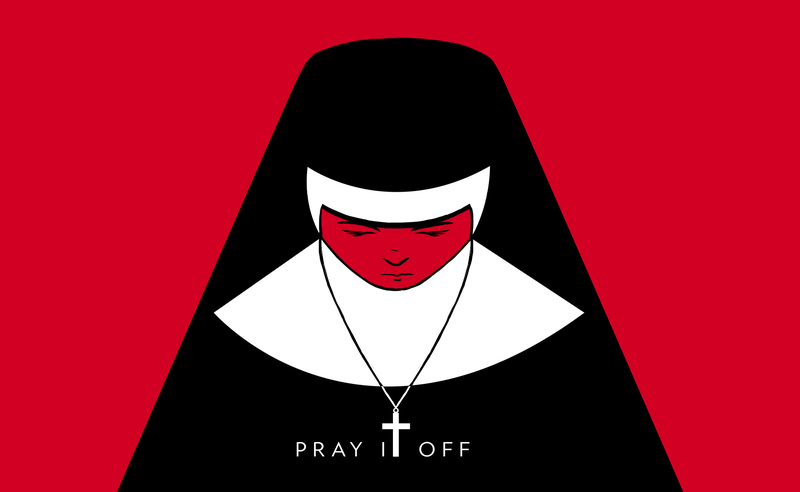 Today, the figure has dropped by more than 75 percent, to just over 40,000, with new convents shuttering every year, owing to a depletion of funds, and interest. A 2008 study found only eight percent of Millennials have “ever” considered becoming a nun. Many Catholics wring their hands over “the nun shortage,” lamenting the end of an era. I remain Catholic and my husband and I are sending our children to Catholic school, and so I understand, to a degree, the feelings of nostalgia. Good nuns and good convents can and do exist. And when they do, both are special things. But I understand something more. In my family, convents are not synonymous with warm, fuzzy places in which all is good and holy. In my family, a convent is known as the place that killed the spirit of my mother and the spirit of countless other young women. Mary Pflum Peterson is a multi-Emmy-Award-winning producer for ABC News/ Good Morning America. She chronicles her mother’s time in the convent, and the story of three generations of women in a decidedly complicated Catholic family, in her new memoir, White Dresses: A Memoir of Love and Secrets, Mothers and Daughter. Illustration by Tara Jacoby. Photos courtesy of the author.